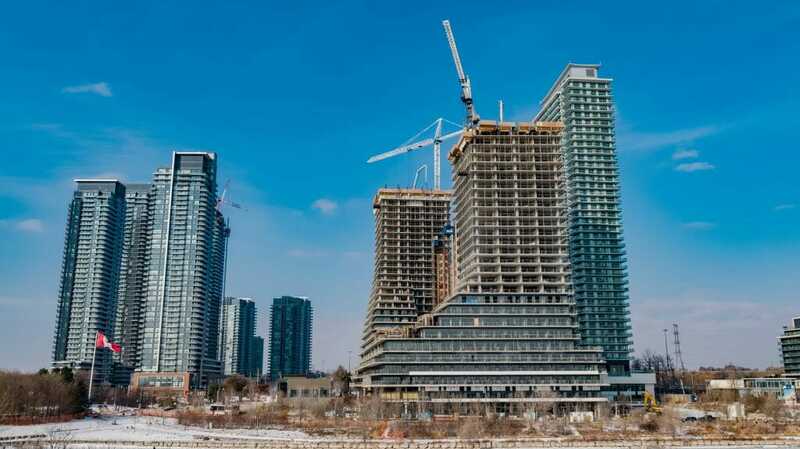 As you travel down the Lake Shore in Etobicoke, it is near to impossible not to notice the construction unfolding. 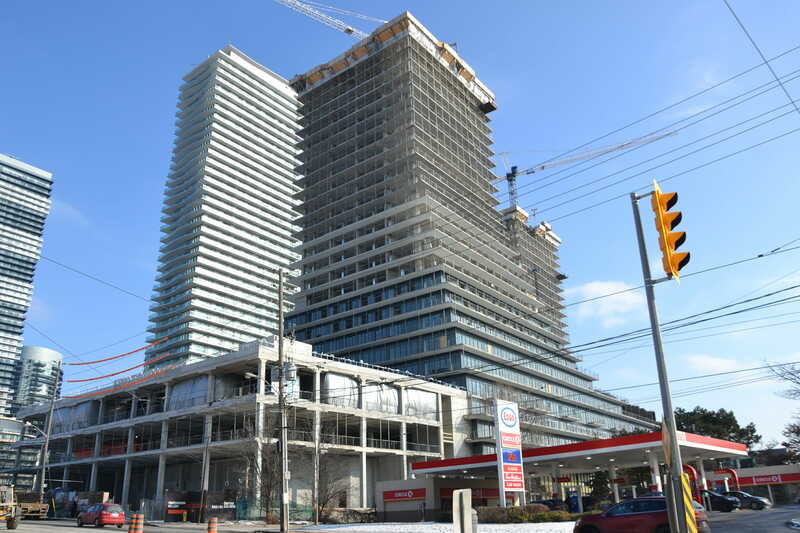 Our Eau Du Soleil condominium is growing taller every week and will soon be home to over 1,200 residents. 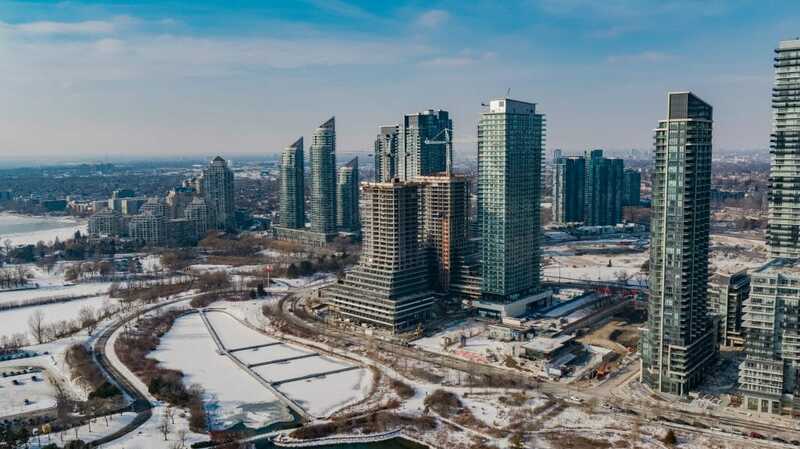 Take a look at the drone footage captured on a sunny winter afternoon, and read about the progress happening on site. 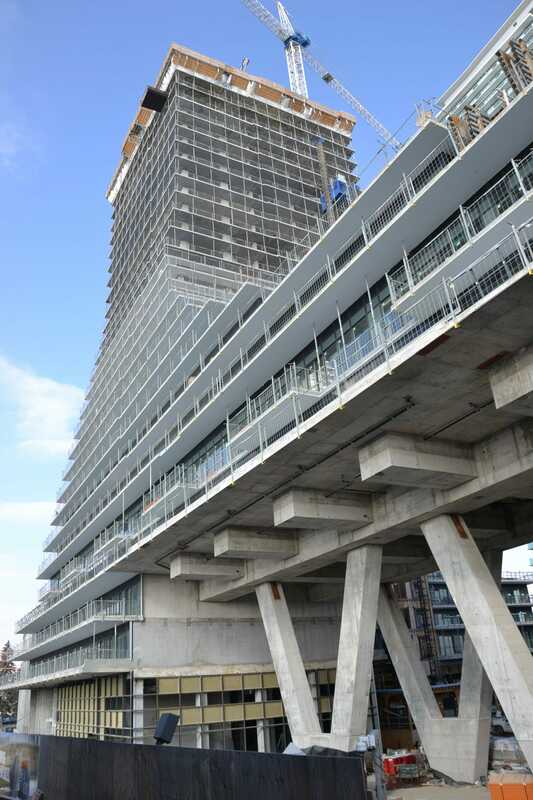 Forming is currently at the 30th floor of both towers as windows are making their way up the building and are now being installed on the 12th floor. Plumbing, heating, sprinkler and HVAC are all working its way up both towers as they have reached the 9th floor. 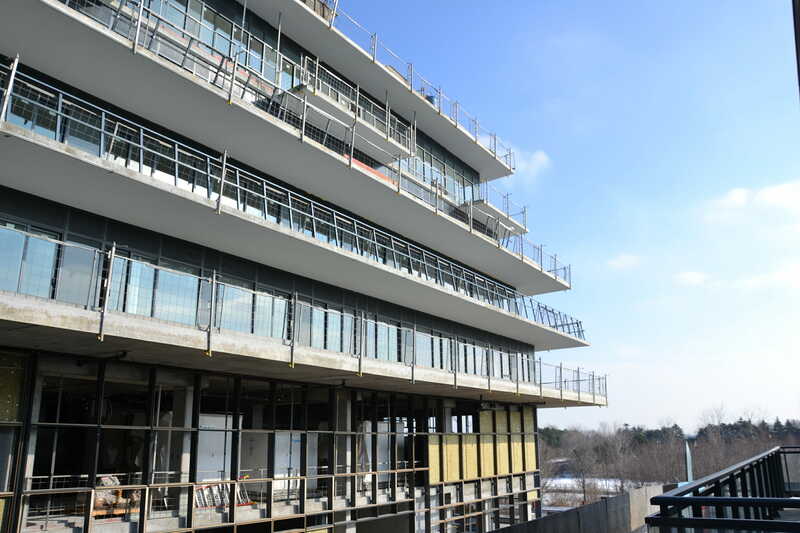 Exterior and corridor wall studding is going up on the 7th floor, and suite studding is currently finishing on the 5th floor. With stunning lake and city views, a limited collection of 1, 2 and 3-bedroom condominiums featuring expansive, terraces are available. 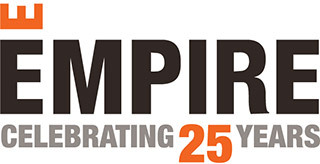 Contact us at eauds@empirecommunities.com for details. 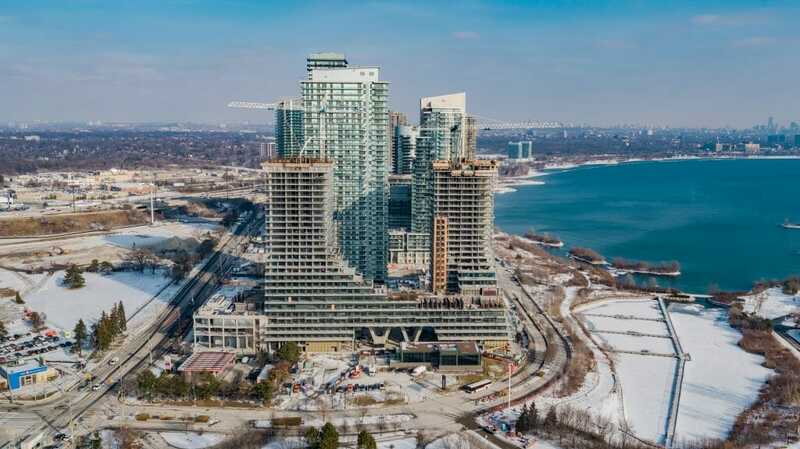 Scroll down for views from Marine Parade Dr. and Lake Shore Blvd W.